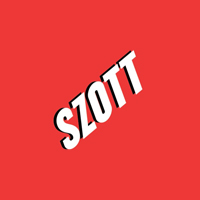 Highland and Clarkston Automotive Job | Szott M59 Dodge Ram " "
Szott M59 Dodge Ram is always looking for energetic, friendly team members to join our excellent automotive staff. Positions include sales consultants, service technicians and more. If you’re looking for an opportunity to find employment at a dedicated company with a great track record for fostering employee growth and knowledge, you’ve found the right place! Here at Szott Auto Group, we’ve cultivated an excellent history of providing outstanding career opportunities for sharp, energetic people. If you have a strong sense of customer service and know what it takes to keep every client walking away with a smile on their face, we’d like to get to know you today. We’re always hiring for a variety of positions based on current need. Those positions include jobs in our Sales Department, Service Department and with our Administrative staff. Sample positions that may become available include: sales consultants for new and used vehicles, service technicians and service valets and porters, accounting and administrative personnel like receptionists and client coordinators, and maintenance positions such as lot attendants or janitors. If you think you may be a good fit for Szott M59 Dodge Ram, please contact us today by applying online below.